We connect to inspire and empower! We will create a platform for the Indian Women working in the Hospitality industry across the globe to reach their fullest potential through knowledge sharing, mentoring and inspiring each other. We will collaborate to enhance women’s roles in their own lives, families, communities and the society with self reliance, dignity and equality. We will work for the nation building and get all Indian Women Empowered by providing support and contributing towards meaningful social causes. 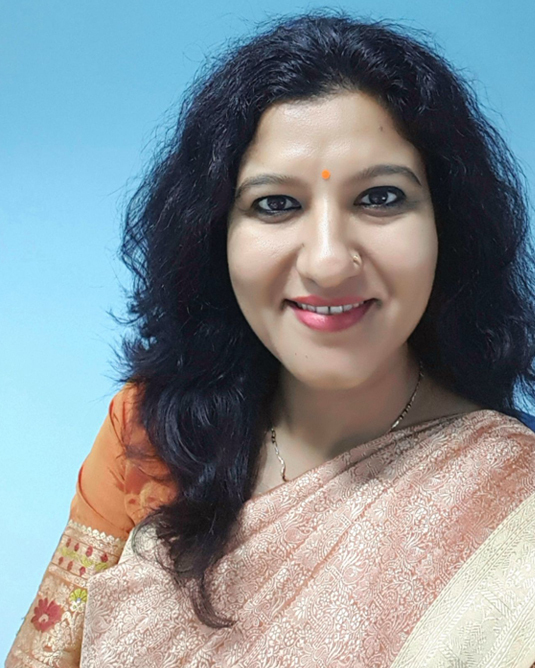 Laxmi Todiwan is an alumnus of IHM Mumbai 1997 batch, a Hospitality professional, an educationist, counselor, corporate trainer, coach, show host and a blogger. She started her career with the Taj group of hotels. Learning and Development is close to her heart and she associates herself with Skill training projects of the government, has worked with Tourism Development Boards of state governments. She has worked on projects by Tourism and Hospitality Skill Council, Godrej, SBI, CII, American Hotels and Lodging Educational Institute and the Indian Navy, to name a few. She has hosted many functions of repute as a Master of Ceremonies and has done a series of educational programs for a TV channel. She writes for hospitality journals, international websites and also for columns in the local newspapers. She expresses her thoughts in her blog, The Optimist Diary. She has founded the support group Indian Women in Hospitality (IWH) which was created on February 07, 2018, as a support group for the Indian Women working in the Hospitality industry. It is a platform that would be used for ideating, knowledge & experience sharing, collaborating and mentoring! The mantra being: Inspire. Enrich. Empower! She feels that her generation has been fortunate to know the legends, the women who toiled to make things as they are today and also the young achievers. She is using this platform to connect the two! This is purely a social enterprise and she does not promote any commercial activities through the use of this group. Every day she works towards making this support group more evolved, beneficial and engaging for the Indian women working in the hospitality industry, around the globe.